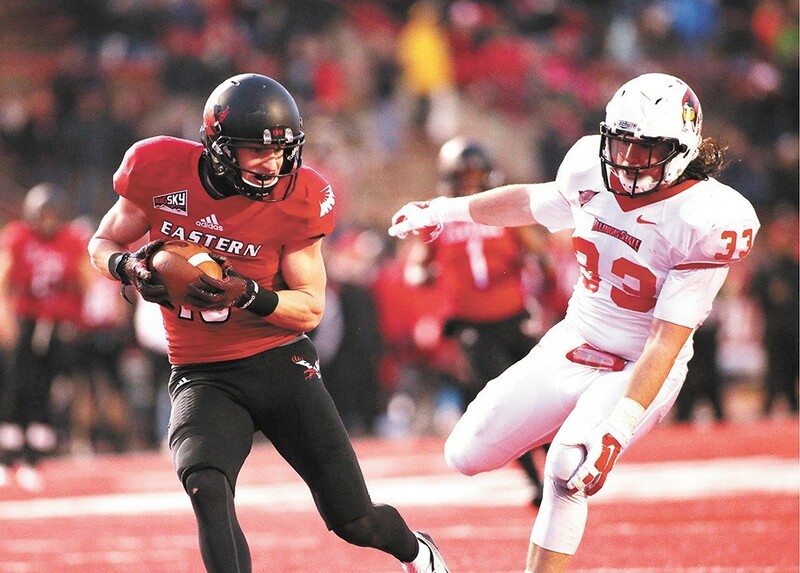 EWU receiver Cooper Kupp is the national offensive player of the year. The season might not have ended exactly as Eastern Washington's players and fans wanted thanks to a freakish play at the end of their semifinal matchup with Youngstown State, but there is still plenty to celebrate from the Eagles' season. Top of that list is a successful senior campaign by star wide receiver Cooper Kupp, who today was awarded the Offensive Player of the Year award for a season that featured him making 117 receptions for more than 1,700 yards and 17 touchdowns. He also ran for several hundred more yards and a few more TDs. Kupp was just one part of the Eags' prolific offense, but his decision to return for his senior year rather than going to the NFL set the tone for an entire team dedicated to trying to win a national championship. The fact they fell just short does nothing to detract from Kupp or the team's efforts. Kupp is currently training for the NFL draft and won't attend the FCS national championship game in Texas to get the award in person. He's a four-time consensus All-American and ended his career with more receiving yards than anyone in college football history, at any level. The NFL draft, where we'll learn where Kupp with be catching balls next year, runs April 27-29.